"In the second-last week of May, the AustCham Board of Directors was invited to send one representative to attend a dinner with Prime Minister H.E. General Prayut Chan-o-cha. The dinner was held for Thai Chamber of Commerce and Board of Trade of Thailand, Chairmen of Trade Associations, Presidents of Foreign Chambers of Commerce, Presidents & Secretary-Generals of all Provincial Chambers of Commerce and Young Entrepreneurs’ Chamber of Commerce - totaling approximately 1,200 persons. The dinner was held as part of a two-day forum to discuss policies between the Thai Chamber of Commerce and the Provincial Chambers of Commerce to increase the competitiveness of Thai entrepreneurs, as well as to increasing cooperation between government agencies and business organisations to enhance economic development for the country. The PM's address was broadly focused on 'Together Driving the Thai Economy Towards Stability, Wealth and Sustainability'. Thai Chamber of Commerce and Board of Trade Chairman, Khun Isara Vongkusolkit, set the scene with a short presentation on Increasing Competitiveness, Connectivity , Collaboration, Good Governance and Social Responsibility. These three topics form part of a large agenda with many activities that the BOT and TCC have been working towards. The BOT and TCC have worked very closely with the private sector across the country over the last year and have started many great initiatives to positively develop business in Thailand. Click here for a short video of the BOT's 2014-15 initiatives. The BOT has also been very proactive in contributing to the draft constitution - including with foreign chambers of commerce. Taking to the stage, the PM talked on his vision for his country and a sincere desire to see improvements made for Thai people and visitors/guests to Thailand. He encouraged everyone to work together both strategically and empathetically - using both "Fact and Feeling". Amongst his topics on strengthening Thai industries, trade liberalisation and the unification of ASEAN, there were some specific messages for the foreign business community. The PM reinforced his willingness to engage with foreign business and asked for foreign chambers to continue giving input to the direction of Thailand's development. Regarding democracy and the election, PM Prayut asked for foreigners to be understanding and patient. He stressed that upmost effort was being put into the draft constitution to benefit Thailand and assist the new government, once elected." 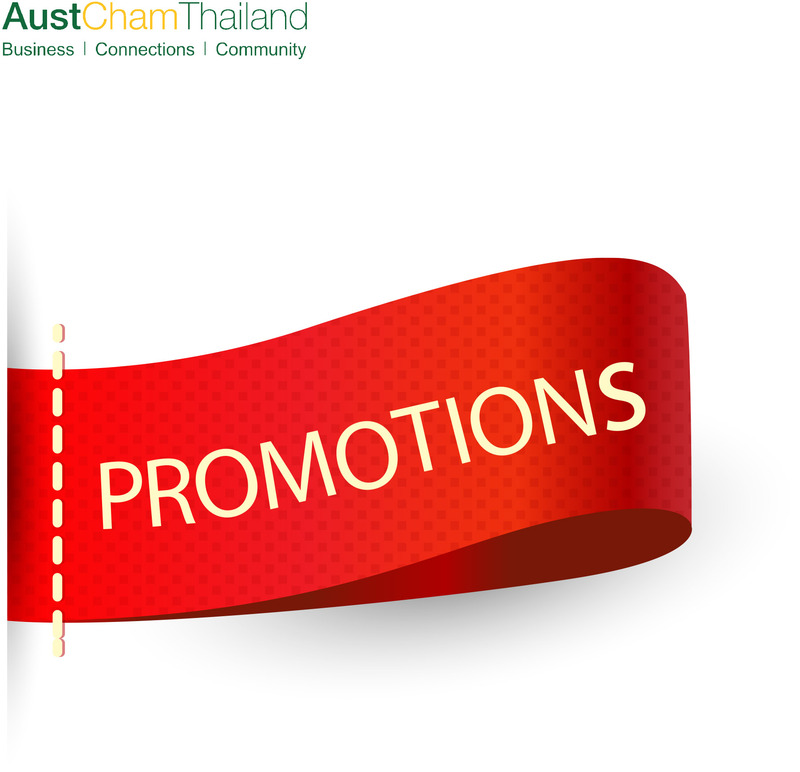 The Australian-Thai Chamber is pleased to present the Australia – Thailand Business Forum: Perspectives on Investment and Trade on Thursday 25 June, 2015. On the occasion of the Thailand-Australia Free Trade Agreement’s (TAFTA) tenth anniversary and as part of Austrade’s Asian Business Engagement Plan and with the support of the Australian Embassy Bangkok and the Australia - Thailand Institute, this conference will highlight the significant business interests between our two countries and explore ways to further leverage our strong bilateral commercial relationship in ways to contribute to both countries’ economic prosperity. Speakers will include senior representatives from Australian investors in Thailand and officials. To celebrate Australian education and to recognise award winners, The Australian Thai Chamber of Commerce and the Australian Embassy Bangkok cordially invite you to attend the annual Australian Alumni Gala Dinner on Friday 26 June. AustCham are delighted to invite colleagues from the American Chamber of Commerce in Thailand (AMCHAM) to join us for our Month of Independence Sundowners event to acknowledge the 4th of July US national day. IOD is delighted to invite foreign chambers of commerce operating in Thailand, including the American Chamber of Commerce, the Australian Thai Chamber of Commerce, the British Chamber of Commerce and the Joint Foreign Chamber of Commerce, along with the Bangkok Post to participate in a special event based on the theme “Meeting the Reformers: Thailand Going Forward”. AustCham Thailand is honoured to invite members and guests to attend a special business luncheon with the CEO of Thai Airways on the topic of “Thai Tourism and ASEAN Open Skies”. 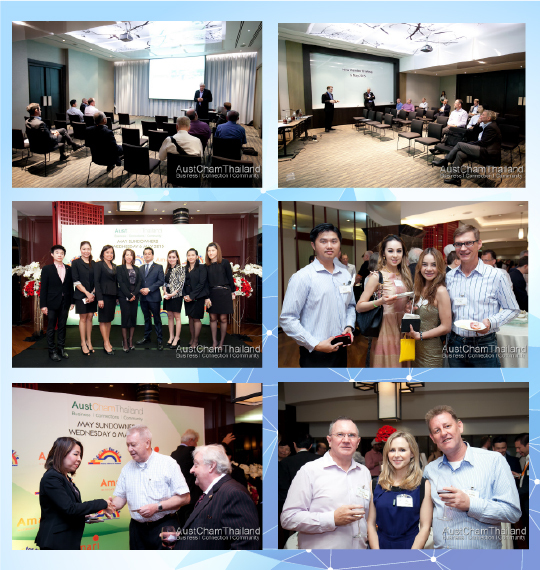 AustCham, in friendly rivalry with BCCT invites members and friends to Thana City Golf Club on Friday 24th July 2015 for a friendly competition to decide the inaugural winner of the Bangkok Ashes Golf Challenge! Pick up your clubs, don your baggy green and let’s defend Australia’s Ashes title! Pitcher Partners Australia is Baker Tilly Australia and affiliated with Baker Tilly Thailand - Within the context of the current political, economic and fiscal environment this budget is unremarkable and safe. The 2015 budget has placed the growth prospects for the economy onto the shoulders of small business. The sector is the beneficiary of tax cuts, concessions and stimulus for new activity. Can Thailand really be an Asian hub? Thailand is a Gateaway to Asia, according to the Thailand Board of Investment website. Yet can Thailand compare with low-tax countries, strong neighbours and economic might of Southern China? ASEAN 2020 Leader: What Got Us Here, Won’t Get Them There by APM Group Co., Ltd. Here is Thailand’s leadership truth: the picture is clear that we are standing at the crossroads with AEC looming just around the corner being both an opportunity and a threat to Thai Leaders. The critical problem lies on the fact that Thai organisations don’t have enough next generation leaders to meet future demands. Furthermore, the current leadership development methods apparently do not produce good enough leaders fast enough. Last month: the Hon Julie Bishop MP made a brief visit to Bangkok and took the opportunity to meet and talk to the business community. The China-Australia free trade agreement, the text of which will be released this Thursday, and the FTA with India set for completion by the end of this year, reinforce the priority for Australian business of pursuing the country’s growing regional trade openings. The Thai government’s recent plan to promote Special Economic Zones along the border has opened a new window of opportunity not only for investors who will receive maximum incentives plus permission to use unskilled foreign labour, but also, for the entire region to unite and grow. We have 30 years experience as an outstanding processed food manufacturer and exporter to 20 countries around the world. We are the international standard manufacturer for vacuum-frying system in Thailand with Moody international certifications: Good Manufacturing Practice (GMP),Hazard Analysis Critical Control Point (HACCP), Halal and ISO 22000:2005. New Member - The Perfectionist Co., Ltd.
PAYA Dental Clinic embodies Dr. Joy’s vision of the balanced mix of beauty, confidence, elegance, sophistication, sweetness, and independence that is unique to Thai women. Our team of educated, gentle, delicate, warm, and trustworthy dentists, hygienists, and staff wear uniquely designed uniforms that feature a of mix contemporary fashion with traditional Thai textiles, and is proud to help preserve Thailand’s distinctive cultural heritage. James Wise, former Australian Ambassador to Thailand (2010-14), advises Australian businesses on the political and business environment in Thailand. He helps businesses to gain access to key people in Thailand's private sector and government. He is an independent director of ANZ Bank (Thai) and Chairman of TBP/BVN (a Thai-Australian architectural alliance). Toni Brendish was appointed Vice President for DKSH (Thailand) Ltd in February 2015. This is the largest organisation within the DKSH group and employs over 5,000 people in Thailand. Prior to that Toni was President Director for the Danone Dairy business in Indonesia. In this role she had responsibility for Indonesia as well as the South East Asian Hub for Dairy. The business included four Manufacturing sites producing over 122,000 tonnes with more than 1500 people. Toni’s career with Danone included time as Managing Director for Australia and New Zealand and then Malaysia in Infant Nutrition. 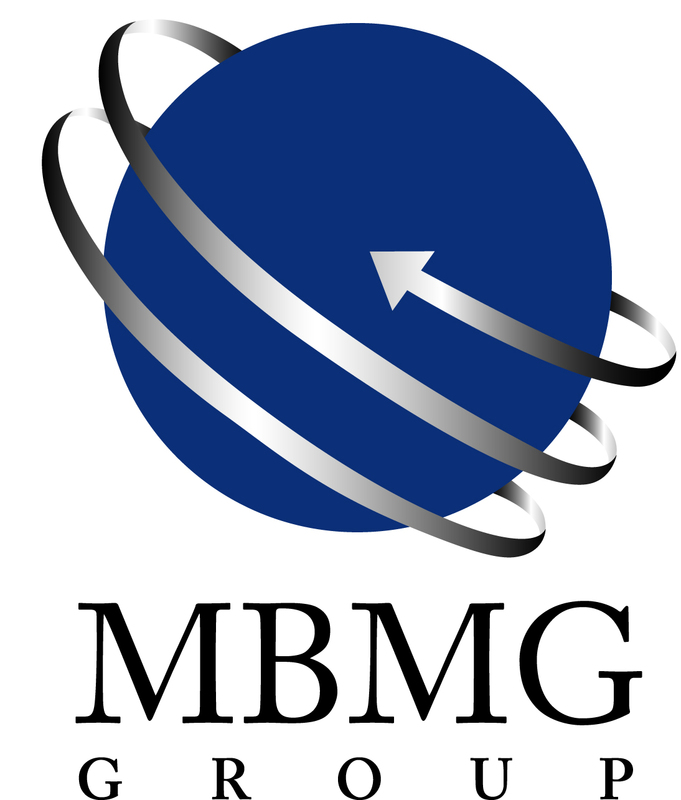 With a powerful marketing and management pedigree providing valuable expertise in developing and growing businesses, she started her career within the Fast Moving Consumer Goods arena working for companies such as Unilever Australia, Coca-Cola (UK), Rank Hovis McDougall (UK) , Kimberly-Clark and Colgate Palmolive Australia. Peter has over 30 years experience in the Australian mining industry as a qualified accountant. He has worked for American and Japanese multinational companies and also Australian stock exchange listed companies in the both the oil and gas industry and since 1989 in the coal industry. In March 2015 he was appointed CFO for the Thai listed company Banpu Pcl, who has coal mining and power generating operations in Indonesia, Australia, Thailand, China, Laos and Mongolia.